viaLibri ~ The sentry and the Shell fairy. 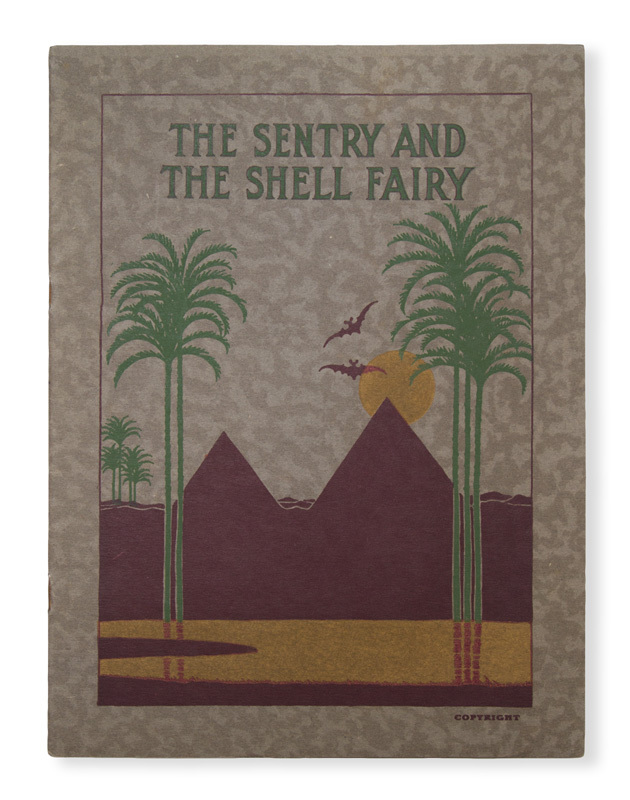 The sentry and the Shell fairy. Melbourne: British Imperial Oil, [c. 1922]. Quarto, illustrated card wrappers (near mint), 16 pp., faint foxing to preliminaries, six colour plates by Outhwaite, a scarce promotional booklet produced for Shell. The better variant issue with additional Outhwaite illustration on p. 16. Muir 4851.